Ramzan shows – the new high! You know it’s Ramzan when you turn on your television and find out there is nothing on but the ‘Ramzan Shows’. With the start of this holy month, there seems to be a race between the Ramzan shows of various television channels to make their programmes more outrageous than the others. Almost every news and entertainment channel has started its special transmission dedicated to the ‘sanctity’ of Ramzan and there is only a little else, one can watch except for these shows. Even the news channels have less of the news and more of these Ramzan special productions. The Ramzan transmissions, usually hosted by some mainstream anchors or television celebrities, are following the same pattern as in the previous years. The shows generally start with an introductory session followed by Naats, religious discussions, cooking segments followed by the most awaited and most appreciated gifts distribution part of these transmissions. The glittery sets and the branded outfits for hosts speak for themselves. The true spirit of Ramzan is just desecrated here when it becomes a business instead of welfare as there is less wisdom in these shows and more glamour. No doubt, the channels are making a huge profit as they get plenty of advertisements for their shows. The long ads of cooking oils, juices and milk products can be seen during the abundant breaks. One can even see bottles of Jam-e-Shirin and Pepsi on the sets as well. The shows have their catchy title songs usually based on the name of the show. Some enchanting but not-so-different names are given to these shows like Shan-e-Ramzan, Ronaq-e-Ramzan, Khair-e-Ramzan, Rehmat-e-Ramzan, Ishq-e-Ramzan, Noor-e-Ramzan, Rooh-e-Ramzan, Ramzan Ishq Hai, Ramzan Hamara Emaan, Ramzan Allah Ka Ahsan and others. These shows are being aired during Ramzan for the past few years but they have nothing new to offer. Sometimes Naat Khawans, Qawwals, religious scholars, actors, nutritionists, psychologists and cooks are invited to the shows. However, with some exceptions, the host himself performs all of these tasks. In addition, some owners of NGOs as well as victims are also invited and people are asked to give donations to them. The question that arises is that what good are they doing to the country? The hosts and the guests get fame, the producers get profit, the channels get ratings but the people do not even get to watch a good entertainment. Apart from giving mobile phones and motorbikes to the audiences, these shows hardly provide anything productive to the people. The number of audience sitting in these shows just tells how much our people want Q-mobiles and motorbikes. Our people need something healthy and innovative to watch on television, not a glitz-glam in the name of these virtually identical Ramzan shows. “Every tear, prayer, Taraweeh, Salah, Naat Khawan and audience will be sponsored in the name of religion,” he said. Last year, Geo and ARY made Rs 40 crore profit each during the Ramzan transmissions. 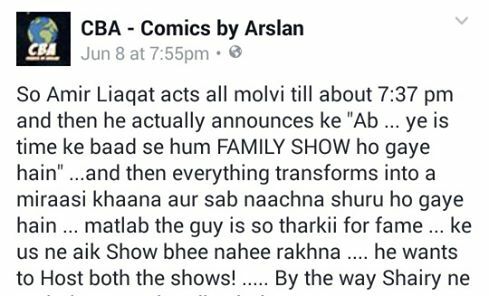 According to Luqman, the television channels earned a massive profit last year by doing these Ramzan shows. Geo and ARY were the top-earning channels with Rs 40 crore profit each, Hum TV made a profit of about Rs 20-25 crore, Urdu 1 made Rs 20 crore profit, Samaa TV Rs 16 crore, Dunya news Rs 14 crore, Express news Rs 12 crore, Aplus Rs 10-12 crore, Aaj news Rs 6-7 crore while other channels made profit of Rs 4-5 crore each. Anchors were paid Rs 5.5 crore while Naat Khawans received only 15-25 lacs. ARY is producing four Ramzan special shows this year on its three different channels. Shan-e-Ramzan hosted by Waseem Badami, Iqrarul Hassan and Junaid Jamshed; Jeeto Pakistan hosted by Fahad Mustafa on ARY digital; Salam Zindagi hosted by Faisal Qureshi on ARY Zindagi and Shan-e-Sehr by Sanam Baloch on ARY news. If you get so tired doing such shows, why the six-hour-long transmissions? Why not restrict these shows to one or two hours? Indeed, let’s forgive the Ulema if they make a mistake but if a common man makes one, let’s book him for ‘blasphemy’. Actor and social media activist Hamza Ali Abbasi is also seen doing a Ramzan show titled Ramzan Hamara Emaan with co-host Aisha Khan on Aaj TV. The actor, who keeps justifying himself on social media, also justified his show in his Facebook status of June 6. 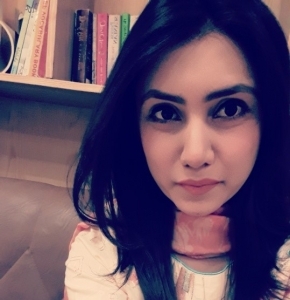 The Mann Mayal star is being appreciated for bringing up complex and complicated issues like the Council of Islamic Ideology’s (CII) recommendation on wife beating, the oppression of Ahmadis in Pakistan as well as the scourge of sectarianism. His critics are also praising him for his choice of topics and he became one of the top trends on Twitter also. Pakistan Electronic Media Regulatory Authority (PEMRA), however, did not like the actor’s choice of topics as it issued a notice on June 17 barring Hamza from hosting the show. The 19-hour-long Pak Ramzan transmission on Geo TV hosted by the king of Ramzan shows Dr Aamir Liaqat is again being carried out in Liaquat’s signature style. Aamir Liaquat knows how to get ratings. He mocks people at first and then apologises to them; he wins their hearts and then breaks them again, and people love him for it. Who can forget the ‘Aam khaye ga Aam’ and Tahir Shah’s ridicule last season. This season Liaquat called Mankind’s Angel singer Tahir Shah on his show and apologised him. In one of his recent shows, he first incited violence against Kapil Dev, a Pakistani Hindu activist who raised his voice against the Ghotki incident, and in the next show took him on call and apologised to him and thus #AmirLiaquatRocks became the top Twitter trend. At the same time, he is being criticised on social media for his publicity stunts. PEMRA also issued a notice to Geo TV when Liaquat presented scenes of a girl committing ‘suicide’ in his Pak Ramzan transmission on June 13, on the complaints of some serving officers of the Pakistan Army. 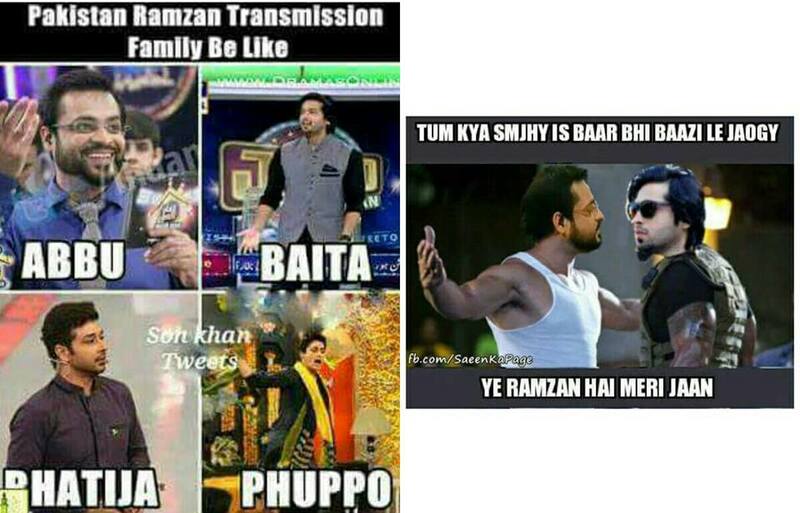 Memes about Ramzan shows also never disappoint. Interestingly nobody is missing the Ramzan show boat. 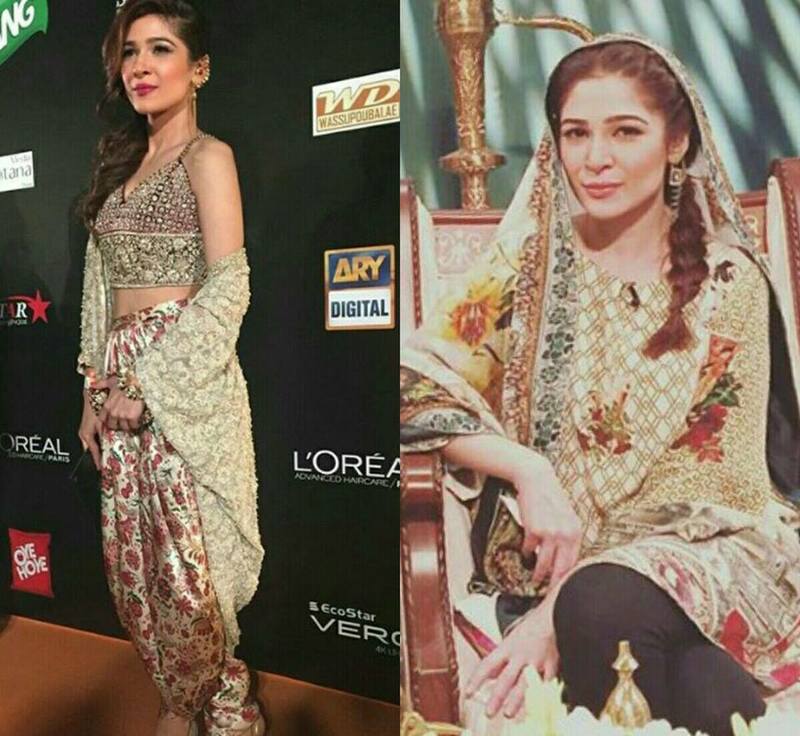 Karachi se Lahore actress Ayesha Omar is also hosting one on Play TV with co-host Sami Khan. Sahir Lodhi, who is hosting his Ishq Ramzan show on TV one, never fails to impress his audience with his immense singing talent. Maya Khan’s co-host on Aplus and Living on the edge host Waqar Zaka introduces some Fear Factor-type dares to draw the attention of viewers. This year, Hum TV looks like the only channel that is not producing any Ramzan-centric shows. Pakistan today tried to contact Momina Duraid for comment but she was not available. Tahir Ashrafi says in other months, the political talk shows sell but in Ramzan, it’s religion that sells and so, the TV channels package religion for their viewers. When Pakistan Electronic Media Regulatory Authority’s (PEMRA)’s Complaint Council Chairman Dr Mehdi Hasan was asked if the Authority is planning to take any action against these shows as a whole, he said that regarding content, PEMRA only takes action on public complaints as it has done in the case of Geo TV. The writer is a freelance journalist. She can be reached at: [email protected], Twitter @mahnoorsheikh03.